"Our last best hope for peace..."
Babylon 5 is an American science fiction television series created, produced and largely written by J. Michael Straczynski. The show centers on a space station named Babylon 5: a focal point for politics, diplomacy, and conflict during the years 2257–2262. With its prominent use of planned story arcs, the series was often described as a "novel for television". The pilot film premiered on February 22, 1993. The regular series aired from January 26, 1994 and ran for five full seasons. Due to Warner corporate structure and policy concerning syndication in general and syndication of properties produced by the defunct PTEN division in particular, the show has been syndicated only briefly and has not appeared on television since 2000. However, the series has sold well on home video DVD season collections over the years since its broadcast. The show spawned six television films and a spin-off series, Crusade, which aired in 1999 and ran for 13 episodes. On July 31, 2007, a DVD was released containing two short films about selected characters from the series. Having worked on a number of television science fiction shows which had regularly gone over budget, creator J. Michael Straczynski concluded that a lack of long-term planning was to blame, and set about looking at ways in which a series could be done responsibly. Taking note of the lessons of mainstream television, which brought stories to a centralised location such as a hospital, police station, or law office, he decided that instead of "[going] in search of new worlds, building them anew each week," a fixed space station setting would keep costs at a reasonable level. 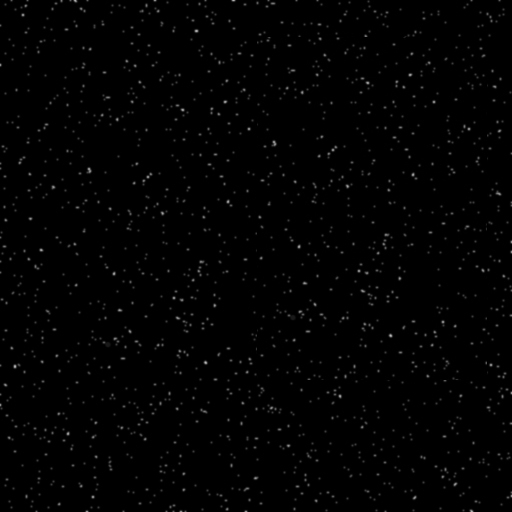 A fan of sagas such as the Foundation series, Childhood's End, The Lord of the Rings, Dune and the Lensman series, Straczynski wondered why no one had done a television series with the same epic sweep, and concurrently with the first idea started developing the concept for a vastly-ambitious epic covering massive battles and other universe-changing events. Realizing that both the fixed-locale series and the epic could be done in a single series, he began to sketch the initial outline of what would become Babylon 5. Straczynski set five goals for Babylon 5. He said that the show "would have to be good science fiction" as well as good television -- "rarely are shows both good [science fiction] and good TV; there're [sic] generally one or the other [emphasis in original]." It would have to do for science fiction television what Hill Street Blues had done for police dramas, by taking an adult approach to the subject. It would have to be reasonably budgeted, and "it would have to look unlike anything ever seen before on TV, presenting individual stories against a much broader canvas." He further stressed that his approach was "to take [science fiction] seriously, to build characters for grown-ups, to incorporate real science but keep the characters at the center of the story." Some of the staples of television science fiction were also out of the question (the show would have "no kids or cute robots"). The idea was not to present a perfect utopian future, but one with greed and homelessness; one where characters grow, develop, live, and die; one where not everything was the same at the end of the day's events. Citing Mark Twain as an influence, Straczynski said he wanted the show to be a mirror to the real world and to covertly teach. Described as a "window on the future" by series production designer John Iacovelli, the story is set in the 23rd century on a large O'Neill Colony named "Babylon 5"—a five-mile-long, 2.5 million-ton rotating colony designed as a gathering place for the sentient species of the galaxy, in order to foster peace through diplomacy, trade, and cooperation. Instead, acting as a center of political intrigue and conflict, the station becomes the linchpin of a massive interstellar war. This is reflected in the opening monologue of each episode, which includes the words "last, best hope for peace" in season one, changing to "last, best hope for victory" by season three. The series consists of a coherent five-year story arc taking place over five seasons of 22 episodes each. Unlike most television shows at the time, Babylon 5 was conceived as a "novel for television", with a defined beginning, middle, and end; in essence, each episode would be a single "chapter" of this "novel". Many of the tie-in novels, comic books, and short stories were also developed to play a significant canonical part in the overall story. During 2258, Commander Jeffrey Sinclair is in charge of the station. Much of the story revolves around his gradual discovery that it was his capture by the Minbari at the Battle of the Line which ended the war against Earth. Upon capturing Sinclair, the Minbari came to believe that Valen, a great Minbari leader and hero of the last Minbari-Shadow war, had been reincarnated as the Commander. Concluding that others of their species had been, and were continuing to be reborn as humans, and in obedience to the edict that Minbari do not kill one another, lest they harm the soul, they stopped the war just as Earth's final defenses were on the verge of collapse. It is gradually revealed that Ambassador Delenn is a member of the mysterious and powerful Grey Council, the ruling body of the Minbari. Towards the end of 2258, she begins the transformation into a Minbari-human hybrid, ostensibly to build a bridge between the humans and Minbari. The year ends with the assassination of Earth Alliance President Luis Santiago, and rising tension between the Narn and Centauri, after a Narn outpost is completely destroyed by an unknown third party. At the beginning of 2259, Captain John Sheridan replaces Sinclair as the military governor of the station. He and the command staff learn that the death of President Santiago was actually an assassination masterminded by Vice President Clark (who assumed the Presidency upon Santiago's death). A conflict develops between the Babylon 5 command staff and the Psi Corps, an increasingly autocratic organization which oversees and controls the lives of human telepaths. Commander Ivanova, the second-in-command of the station, is secretly a latent telepath who has illicitly avoided registering with the Psi Corps. The Shadows, an ancient and extremely powerful race who have recently emerged from hibernation, are revealed to be the cause of a variety of mysterious and disturbing events, including the attack on the Narn outpost at the end of 2258. Centauri Ambassador Londo Mollari unknowingly enlists their aid through his association with the mysterious Mr. Morden in the ongoing conflict with the Narn. The elderly and ailing Centauri emperor, long an advocate of reconciliation with the Narn, dies suddenly while visiting Babylon 5. A number of conspirators, including Londo Mollari and Refa, take control of Centauri government by assassinating their opponents and placing the late emperor's unstable nephew on the throne. Their first act is to start open aggression against the Narn. After full-scale war breaks out, the Centauri eventually conquer Narn in a brutal attack involving mass drivers, outlawed weapons of mass destruction. Towards the end of the year, the Clark administration begins to show increasingly totalitarian characteristics, clamping down on dissent and restricting freedom of speech. The Vorlons are revealed to be the basis of legends about angels on various worlds, including Earth, and are the ancient enemies of the Shadows. They enlist the aid of Sheridan and the Babylon 5 command staff in the struggle against the Shadows. The Psi Corps and President Clark, whose government has discovered Shadow vessels buried in Earth's solar system, begin to harness the vessels' advanced technology. The Clark administration continues to become increasingly xenophobic and totalitarian, and uses a military incident as an excuse to declare martial law. This triggers a war of independence on Mars, which had long had a strained political relationship with Earth. Babylon 5 also declares independence from Earth, along with several other outlying Earth Alliance colonies. In response, the Earth Alliance attempts to retake Babylon 5 by force, but with the aid of the Minbari, who have allied with the station against the growing Shadow threat, the attack is repelled. Becoming concerned over the Shadows' growing influence amongst his people, Centauri ambassador Londo Mollari attempts to sever ties with them. Mr. Morden, the Shadows' human representative, tricks him into restoring the partnership by engineering the murder of Mollari's mistress while putting the blame on a rival Centauri House. Open warfare breaks out between the Shadows and the alliance led by Babylon 5 and the Minbari. It is learned that genetic manipulation by the Vorlons is the source of human telepathy, as it is later discovered that Shadow ships are vulnerable to telepathic attacks. Displeased at the Vorlons' lack of direct action against the Shadows, Captain John Sheridan browbeats Vorlon ambassador Kosh Naranek into launching an attack against their mutual enemy. Kosh's deeds lead to his subsequent assassination by the Shadows. Former station commander Jeffrey Sinclair returns to Babylon 5 to enlist the aid of Captain Sheridan, Delenn, Ivanova and Marcus in stealing the Babylon 4 space station and sending it 1,000 years back in time to use it as a base of operations against the Shadows in the previous Minbari-Shadow war. Undergoing the same transformation as Delenn at the end of Season 1, Sinclair transforms into a Minbari and is subsequently revealed to be the actual Valen of Minbari legend, rather than a reincarnation. Spurred by the reappearance of his assumed-dead wife (who now works for the Shadows), Sheridan travels to Z'ha'dum, the Shadow homeworld, in an attempt by them to recruit him. However he instead destroys their largest city in a kamikaze nuclear attack, and is last seen jumping into a miles-deep pit to escape the explosion. Garibaldi, during a fight with Shadow vessels, goes missing. In 2261, the Vorlons join the Shadow War, but their tactics become a concern for the alliance when the Vorlons begin destroying entire planets which they deem to have been "influenced" by the Shadows. Disturbed by this turn of events, Babylon 5 recruits several other powerful and ancient races (the First Ones) to their cause, against both the Shadows and the Vorlons. Captain John Sheridan returns to the station after escaping from Z'ha'dum, but at a price: barring illness or injury, he has only 20 years left to live. He is accompanied by a mysterious alien named Lorien who claims to be the oldest sentient being in the galaxy. Hours before Sheridan's return, Garibaldi is rescued and returned to the station, in rather dubious circumstances. He is markedly more paranoid and suspicious of other alien races and of Sheridan than he was before. Centauri Emperor Cartagia forges a relationship with the Shadows. Londo Mollari engineers the assassination of Cartagia and repudiates his agreement with the Shadows. Londo kills Mr. Morden and destroys the Shadow vessels based on the Centauri homeworld, in an attempt to save his planet from destruction by the Vorlons. Aided by the other ancient races, and several younger ones, Sheridan lures both the Vorlons and the Shadows into an immense battle, during which the Vorlons and Shadows reveal that they have been left as guardians of the younger races, but due to philosophical differences, ended up using them as pawns in their endless wars throughout the ages. The younger races reject their continued interference, and the Vorlons and Shadows, along with the remaining First Ones, agree to depart the galaxy forever. After the Shadows are defeated Garibaldi leaves his post as security chief and works on his own as a "provider of information". He begins working for one William Edgars, a Mars Tycoon, who is married to Garibaldi's former love. While he works ever closer with Edgars, he becomes increasingly aggressive towards Sheridan and eventually leaves Babylon 5. Minbar is gripped by a brief civil war between the Warrior and Religious castes. Delenn secretly meets with Neroon of the Warrior caste and convinces him that neither side can be allowed to win. She tells him that she will undergo a ritual wherein she will be willing to sacrifice herself, but will stop the ritual before she actually dies. When Neroon sees that she actually intends to go through the entire ritual, he rescues her and sacrifices himself instead, declaring that, although he was born Warrior, in his heart he is Religious. As part of the ongoing conflict between Earth and Babylon 5, Garibaldi eventually betrays Sheridan and arranges his capture in order to gain Edgars' trust and learn his plans. Garibaldi later learns that Edgars created a virus that is dangerous to only telepaths. It is then revealed, that Garibaldi was actually abducted by the Psi-Corps at the end of Season 3 and re-programmed by Bester to provide information to him at the right time. Bester releases Garibaldi of his programming, and allows him to remember everything he has done since being kidnapped. Edgars is killed and his wife disappears, but is reunited with Garibaldi after the end of the war. Garibaldi helps free Sheridan and return him to the campaign to free Earth. An alliance led by Babylon 5 frees Earth from totalitarian rule by President Clark in a short but bloody war. This culminates in Clark's suicide and the restoration of democratic government. Mars is granted full independence, and Sheridan agrees to step down as commander of Babylon 5. The League of Non-Aligned Worlds is dissolved and reformed into the Interstellar Alliance, with Sheridan elected as its first President and continuing his command of the Rangers, who are to act as a galactic equivalent of United Nations peacekeepers. In the season finale, the events of 100, 500, 1000, and one million years into the future are shown, depicting Babylon 5's lasting influence throughout history. Amongst the events shown are the political aftermath of the 2261 civil war, a subsequent nuclear war on Earth involving a new totalitarian government in the year AD 2762, the resulting fall of Earth into a pre-industrial society, the loss and restoration of humanity's knowledge of space travel, and the final evolution of mankind into energy beings similar to the Vorlons, after which Earth's sun goes nova. In 2262, Earthforce Captain Elizabeth Lochley is appointed to command Babylon 5. The station grows in its role as a sanctuary for rogue telepaths running from the Psi Corps, resulting in a violent conflict. G'Kar, former Narn ambassador to Babylon 5, becomes unwillingly a spiritual icon after a book was published that he wrote while incarcerated during the Narn-Centauri War. The Drakh, former allies of the Shadows who remained in the galaxy, take control of Regent Virini on Centauri Prime through a parasitic creature called a Keeper, then incite a war between the Centauri and the Interstellar Alliance, in order to isolate the Centauri from the Alliance, and gain a malleable homeworld for themselves. Centauri Prime is consequently devastated by Narn and Drazi warships, and Londo Mollari becomes emperor, accepting a Drakh Keeper under threat of the complete nuclear destruction of the planet. (Portions of the end of his reign are seen in various prescient visions throughout the series; they show Mollari and former nemesis (and later friend) G'Kar sixteen years in the future dying at each other's throats, seemingly out of their mutual grudge against each other. It is gradually revealed, that there was a much more friendly subtext present, with Mollari having become a slave to the drakh rule and being tired of life. However his Drakh Keeper awakens and strangles G'Kar in return. Vir Cotto, Mollari's loyal and more moral aide, succeeds him as emperor, free of Drakh influence.) Sheridan and Delenn marry and move to Minbar, along with the headquarters of the Interstellar Alliance. G'Kar leaves Babylon 5 to escape his unwanted fame and explore the rim. Garibaldi also marries and settles down on Mars. Most of the other main characters leave B5. Nineteen years later, on the verge of death, Sheridan takes one final trip to the now-obsolete Babylon 5 station before its decommissioning. Sheridan apparently dies, but is claimed by the First Ones, who invite him to join them on a journey beyond the rim of the galaxy. 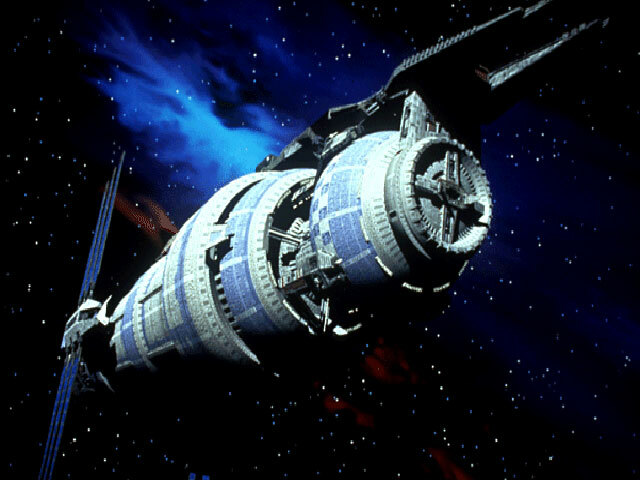 The Babylon 5 station is completely destroyed in a planned demolition shortly after Sheridan's departure, its existence no longer necessary as the Alliance has taken over its diplomatic purposes. This final episode features a cameo appearance by Straczynski as the technician who switches off the lights before Babylon 5 is evacuated and destroyed. During and after production of Babylon 5, six television movies, set in the Babylon 5 universe, have been produced. The Gathering is the pilot, depicting the arrival of the major characters to the Babylon 5 station in 2257. In the Beginning depicts the events of the Earth-Minbari War, as revealed in the first few seasons, in chronological order and in greater detail than the main series. Thirdspace and The River of Souls are largely stand-alone episodes. A Call to Arms sets up the initial premise of the Crusade series, depicting the alien Drakh species releasing a nanovirus plague on Earth, which will destroy all life on the planet within five years if it is not stopped. To that end, the destroyer Excalibur is sent to look for a cure beyond Earth. To Live and Die in Starlight, also known as Babylon 5: The Legend of the Rangers, was intended as the pilot for the series of the same (Legend of the Rangers) name, but since the show was never picked up, it is now considered to be the sixth and last Babylon 5 telefilm.